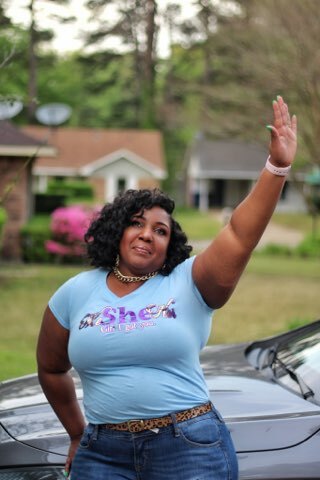 Today, I want to introduce you to the one and only Keisha Law. Keisha has truly become a little sister to me and she is so funny! Over three years ago, her husband Zummie Law told me that his wife had a book and dude wanted me to publish it as a surprise gift. Of course, I told him there's no way we could do it professionally without her knowing. I of course went to praying, and my prayer was that when she's ready the Lord would equip me with what I need. 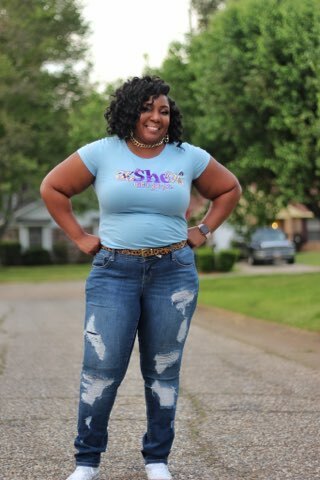 Well, the Lord did just that and in two days, DS Publishing will be releasing Keisha Law's first book, Me She Her: A Women's Journal for Becoming! Keisha L. Law is a Branch Manager by Profession, Independent Herbalife Distributor, Elder in the Lord’s church, and Author. Her most important position is being wife to deacon Zummie Law, Jr, who she shares with in the co-ownership of The T-shop3 LLC. So Scroggins, what's so special about this chick? I'm glad you asked...she really loves God, has a heart of gold, and freverently stands on the Word of God. GGBC: What inspired you to become a writer? The inspiration behind writing came through a small still voice saying it’s time to release your story to compel women to talk about their issues, forgive and push each other to greatness through sisterhood. GGBC: What are your ambitions for your writing career? My ambition is to do all I can to make sure my books are in every hand that needs it. GGBC: What is your favorite part of being a writer? I love being able to help heal people through writing. I realized as I wrote, Me She Her, how much it blessed me and how much it will bless others, too. ​Now you know I like to have lost my mind right there. To be named as someone who inspires another sister is just overwhelmingly blissful for this cookie. And to get the memo before I died was absolutely wonderful. How does she feel about becoming a new author? 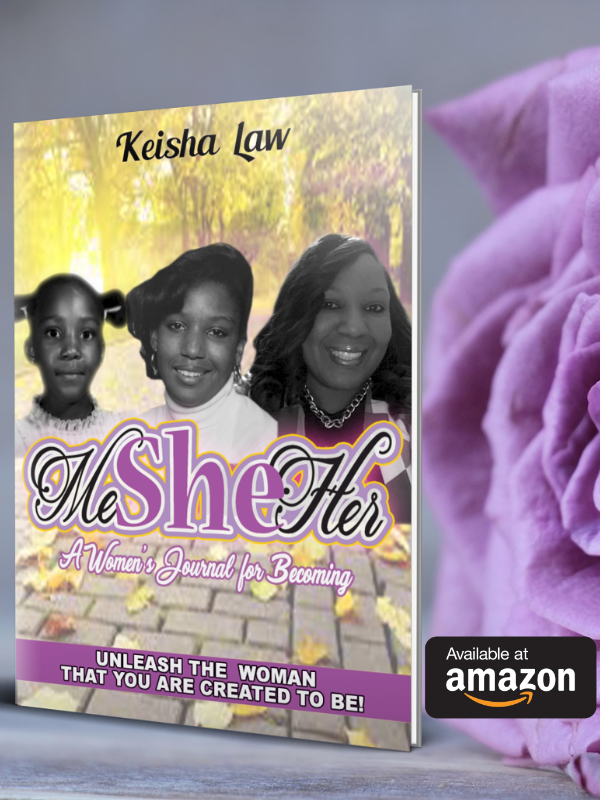 Keisha said, "I didn't realize so much work goes into becoming an author but I'm so glad you pushed me." 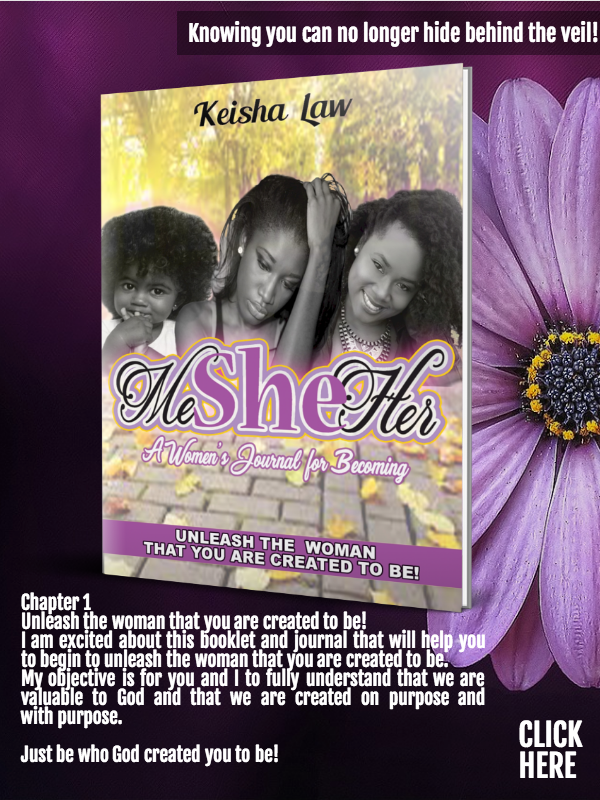 Well all I can say is, "Welcome Author Keisha Law to the world of books and promotions!" Well, as I often say, it's been nice having you in my world. Check out books by me and other fabulous authors, you just may come across one that will change your life. Hey Don't Forget To Grab A Copy of MeSheHer: A Women's Journal for Becoming! Danyelle Scroggins author of Not Until You're Ready presents: In The Living Room with Pastor Danyelle the place where you'll fine the testimonies of God's Daughters. To be featured go to info@danyellescroggins.